Call for a Certified Roof Inspection and Estimate! Serving Centennial with New Roofs Plus More! Welcome to New Roof Plus, Centennial CO! 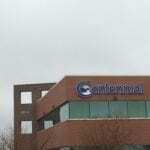 We provide Centennial roofing services to all residents and building owners of Centennial and surrounding cities, including Southglenn, Cherry Knolls, Willow Creek, Castlewood, Algonquin Acres, Shanandoah, Saddlerock, all of Arapahoe County and the entire Denver metro area with complete roof replacement and installation. We have replaced roofs all across Centennial from the hail storms that hit us throughout this year and last. Our motto at New Roof Plus is “Building New Roofs and Relationships” and we work hard to do that every day with every customer. Read our reviews to see what others say about us. While we are a highly rated Centennial Roofing company, we know that every roof we build requires our best effort, attention to every detail and constant communication with our home owner. Our reviews reflect our hard work in customer satisfaction. some neighborhoods, very destructive to thousands of roofs. We are working everyday with our customers and their insurance companies to help them return their roofs and homes to pre-storm condition as soon as possible. We are a home grown Colorado roofing company, serving the entire Front Range from Centennial to Colorado Springs, from Denver to Fort Collins and all points in between. We work on roofs of all kinds – from traditional residential roofing to steep pitch elaborate designs to commercial buildings with complex flat roof systems. If you need a new roof or just need to start with a roof inspection, we are certified at the highest levels in the roofing industry to find and assess any damage. Our teams have seen it all and have the years of experience and knowledge to execute a perfect roof installation. 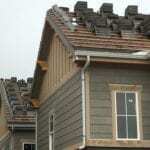 If using the best roofing company in Colorado is important to you, we are a great choice. If your roof has hail or storm damage, we can give you a free inspection and estimate. Hail and storm damage is usually covered under your home or building insurance plan and we have years of experience to help you through that process as well. Our mission as a roofing and exterior restoration company is to fundamentally change the relationship and experience customers have when dealing with a roofing or exterior insurance claim. So many roofing companies make the insurance company out to be the bad guy but we feel otherwise. We have many very strong and long term relationships with insurance agents across the state. All of these agents want their customer (you) to have a good experience in getting your home restored to it’s previous pre-storm health. We feel that when we work together in a positive cooperative relationship, our customer (you) gets treated very well and with the upmost care and insurance coverage available. New Roof Plus Managing Partner Greg Jones is certified as a Haag Certified Residential Roofs Inspector. Haag Certification tells you, as a home or building owner, that this person is highly experienced and has fine tuned their ability to find damage where it exists. To earn this designation as a Haag Certified Residential Roofs Inspector one must prove a deep understanding of the latest damage assessment techniques with successful completion of an extensive exam. 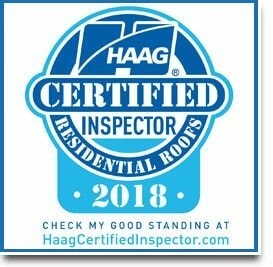 Greg’s experience and knowledge, and now Haag certification, will give you the confidence you have one of the elite inspectors in the country looking at your roof. New Roof Plus offers this inspection service at no cost (free) to the home owner. Greg will inspect your roof and give you a detailed analysis of it’s condition. Should your roof have sustained damage from a storm or other influence, he will give you the information you may need to proceed with an insurance claim. Haag Certifications are rare in the Centennial roofing market and they are even more rare when including the entire state of Colorado. Taking the initiative to continually learn and become the best in the business is what Greg and the New Roof Plus team are all about. We are building the best roofs and the best relationships one customer at a time. We hope to build a relationship (and maybe a roof) with you too! Being locally based near Centennial, we are a Colorado-owned and operated roofing company. We believe in doing the right thing, being honest and fair. We believe in integrity and “The Golden Rule”. We are building New Roof Plus one customer at a time with hope that your experience is excellent and it will lead you to recommend us to family members and friends. We always seek feedback to learn how we can improve our customer experience. The world has changed and consumer experiences are easy to share – good or bad. But we want to know how we are doing and seek to always do better. We live here in Colorado because we love it (and we were born here) and we love the people. Coloradans appreciate being treated with respect and honesty. It’s our goal to reflect that, be good citizens and do great work, one customer at a time. To name a few, we work with the following insurance companies: Allstate, Farmers Insurance, Amica Insurance, USAA Property and Casualty, MetLife, Nationwide Mutual, Hartford Financial, Liberty, Travelers, State Farm, American Family and more… If your insurance company is not listed, no worries! Contact us to find out how we can help. We look forward to being your go to roofing contractor in Centennial, CO.
Watch this video and learn more about New Roof Plus!